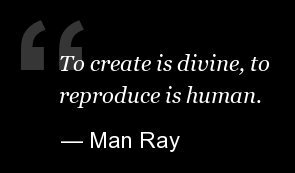 In honor of Man Ray's birthday, we are revisiting a post originally published last year honoring the late artist's life and work. Today is the birthday of the avant-garde photographer and painter who came into this world as Emmanuel Radnitzky, and left as Man Ray. The renowned Surrealist and Dada figure would turn 123 if he were magically still alive today. Ray was born in 1890 to a Russian-Jewish immigrant family in Philadelphia, spending most of his childhood in the Williamsburg neighborhood of Brooklyn. He began demonstrating an interest in art in high school when he began learning about freehand drawing and drafting. But when the artist began his professional career in New York City he hid most details about his personal life, preferring the name Man Ray (a shortened version of Emmanuel Radnitzky). The mysterious artist attended a few classes at the National Academy of Design and the Arts Students League before enrolling in the Ferrer School in the fall of 1912. Influenced by the works shown at Manhattan's Armory Show in the following year and the surge of contemporary European artists in the states, Ray had his first solo show of paintings and drawings in 1915. Soon after, he produced his first Dada work, an assemblage titled "Self-Portrait," and his first widely-received photographs. At this point, he had already solidified a friendship with fellow artist and readymade fiend, Marcel Duchamp, with whom Ray collaborated on a number of projects including "Rotary Glass Plates," one of the earliest examples of kinetic art, and a 1920 issue of New York Dada. Man Ray (R) with Salvador Dali. Like many of the modern artist of the early 19th century, Ray spent a significant portion of his career in Europe, honing his photography in places like Paris and Montparnasse, France. There he captured shots of James Joyce and Gertrude Stein, and participated in Surrealist exhibitions with Joan Miro, Max Ernst and Pablo Picasso. He also met Lee Miller, his photography assistant and lover, who helped Ray to establish a new technique of solarization and a unique version of photograms that he called "rayographs." Ray returned to the US after WWII broke out, moving to Los Angeles in 1940. There he met Juliet Browner, an American dancer with Romanian-Jewish heritage who became Mrs. Man Ray six years later. The two lived together until Ray's death in 1976 and were buried together after Browner's death in 1991, with Ray resting under the epitaph "unconcerned, but not indifferent" and Browner under "together again." Rose Sélavy (Marcel Duchamp). 1921. 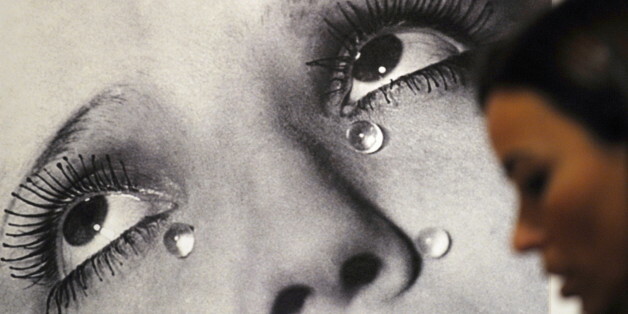 Photograph by Man Ray. Art Direction by Marcel Duchamp. Silver print. 5-7/8" x 3"-7/8". Philadelphia Museum of Art. In honor of Mr. Radnitzky's birthday, check out the slideshow below of memorable quotes from the modernist great. Let us know what you think in the comments section. "Originals Graphic Multiples", circa 1968; published in "Objets de Mon Affection", 1983.